I never thought the grudge that I imposed upon myself so long ago would last this long, but here it is thirty five years later and I find that I’m still not over the events from the eve of December 31, 1979. It was New Year’s Eve, and my husband and I were celebrating in our little apartment on Grantham Avenue in St. Catharines. He had recently gotten out of the armed forces, and was temporarily working in construction. It was only a few weeks earlier that I discovered that we were expecting our first baby. We were young, scared, and oh, so broke. In the week leading up to the new year we were were listening to a Toronto radio station who was counting down the top 100 albums of the 1970’s. All week they had been advertising the phone number where people could call in to vote for their favourite album. Frank and I had amassed a very serious record collection during our time in Nova Scotia from 1977 to 1979. At that time the average album sold for around seven dollars each. That’s a lot of money in the time when minimum wage was a mere $3.10 an hour. In the last hour before midnight, we were at long last down to the last top two albums. 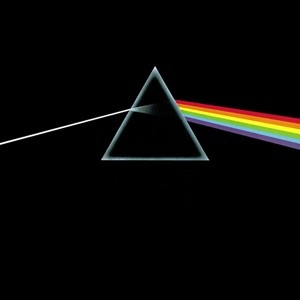 I had my money on the iconic Pink Floyd album, Dark Side Of The Moon. Imagine my disappointment when it made number two for best album of the 1970’s. It wasn’t hard to curb my disappointment though because, like I said, there were so many other extraordinary albums. When at last the announcement came that the top album voted as the best album of the 1970’s was Supertramp’s Breakfast In America I was numb with shock. Supertramp was indeed one of my favourite bands. Had the number one spot gone to either of their first two albums Crime Of The Century, or Even In The Quietest Moments, I would have accepted it. However, I believed that Breakfast In America was more on the pop side of music or you can call it mainstream if you will. I have never trusted a phone poll since.